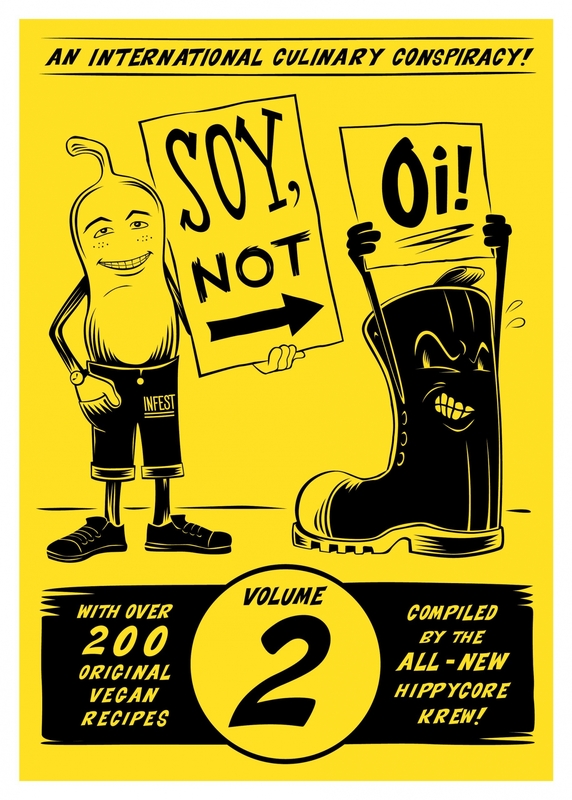 MeMe is proud to offer you the opportunity to order a copy of Soy Not Oi! Volume 2. This is a grassroots, vegan, punk rock cookbook that contains 200 recipes from home-cook contributors all over the world. As the cover says, “An international culinary conspiracy!” The recipes are all vegan or vegetarian and can be tailored to fit your dietary needs and desires. There are stories and tales of the love of home cooking, listening suggestions when preparing a meal or dish, a chapter on food preservation and natural body care and herbal medicine/remedies. MeMe is honored to have her recipe for ‘Vegan Natural Deodorant’ in the “Foodways and Funstuff” chapter. Read up on the history of Soy Not Oi! (the first SNO was published 25 years ago—the profits of the sales of SNO2 go to a very worthy cause).